Las Vegas welcomed a record 41.1 million visitors in 2014, approximately 1.4 million more visitors than the previous high of 39.7 million set in 2012. The 2014 year-end statistics, released today by the Las Vegas Convention and Visitors Authority (LVCVA), point to continued recovery for Las Vegas tourism with increases in all of the key visitation indicators. Las Vegas tourism generates more than $45 billion in economic impact for the local economy and supports 376,000 local jobs. • The meetings and convention industry reached a six-year high with nearly 5.2 million delegates attending a convention, trade show or meeting in 2014, reflecting a 1.2 percent increase over last year. This is the highest convention attendance since 2008. 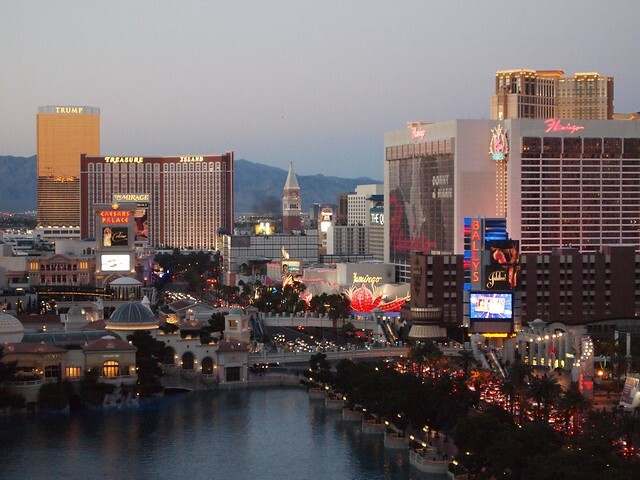 • Las Vegas hosted 22,103 meetings, trade shows or conventions in 2014, up slightly from the 2013. The 2014 total is also the highest number of meetings and conventions held in Las Vegas since 2008. • Average citywide occupancy grew 2.4 percentage points to 86.8 percent for 2014. Las Vegas’ citywide occupancy is 22 percentage points higher than the national average of 64.1 percent. With industry-leading occupancy for its 150,544 rooms, Las Vegas fills more rooms per night on average than any destination in North America. • Las Vegas’ average daily room rate increased $6 to nearly $117 in 2014. • Clark County gross gaming revenue reached nearly $9.6 billion in 2014, a 1.2 percent decrease from 2013. For Downtown Las Vegas, gaming revenue was up 2.1 percent for a total of $511 million last year while revenues decreased 2.1 percent to nearly $6.4 billion on the Las Vegas Strip. Another positive indicator for Southern Nevada’s tourism industry is the addition of nearly 21,000 jobs in the resort industry since the recessionary low in November 2009. Tourism supports 46 percent of all local jobs. Additional information regarding Las Vegas 2014 visitors will be available later this spring when the LVCVA releases its annual Visitor Profile Study, detailing visitor trends, attitudes, behaviors and spending habits while visiting the destination.